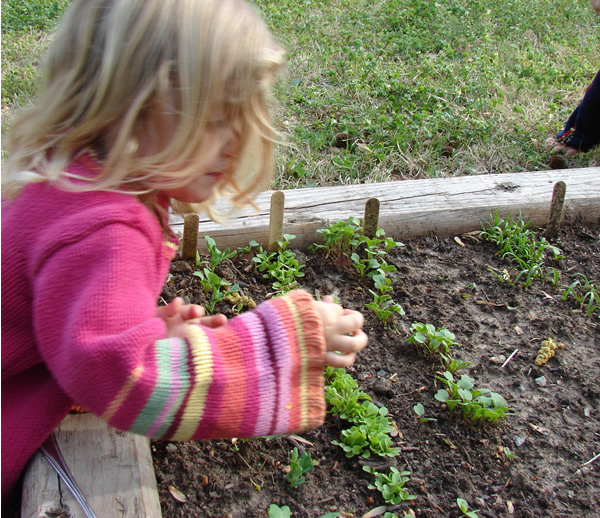 Planting a garden is a great way to teach kids about healthy food, how plants grow, and the spiritual lessons of God bringing a harvest. March is just the time to begin! It’s okay if you don’t know anything. Go to the nearest farm store (preferably one where they actually know something, not a big home improvement store), find a man in overalls, and he’ll help you. The people at farm stores or nurseries are usually very knowledgeable. If you don’t have a farm store or nursery, you can try a university extension office for seed planting charts and people who know something. This entry was posted in Homeschooling and tagged life with little ones, outside time by Charity Hawkins. Bookmark the permalink.